Step by step, you are walking through life, generating stories and sharing them. What better way to do it than with elegance, style and comfort. 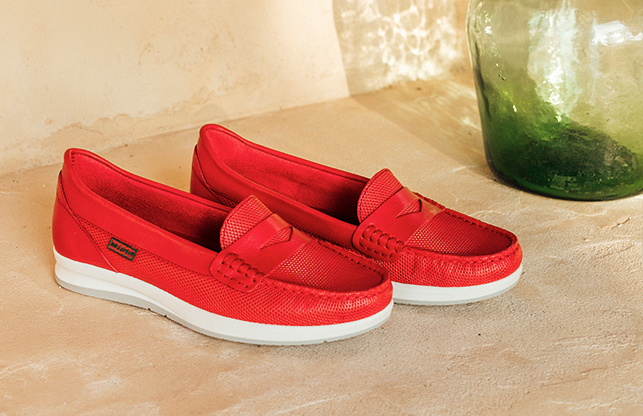 By combining two different but related textures, we get a pair of summery shoes which make walking a pleasure, without sacrificing a trendy look. The sequence of microperforations, which cover almost the entire sneaker, paired with the modern matte leather make this sneaker extra cool, reinforcing your sporty style. Two separate straps firmly hold your foot, so you can walk safely and comfortably. Aesthetically with soft lines and a delicate appearance. The combination of the strap and ankle bracelet holds the foot perfectly in place with simplicity. A daring combination of small mirrors on suede adds a light effect, enhancing an already attractive design. Elegant and attractive, these sandals blend functionality with perfect aesthetics, to create this summery design. With a light touch of glitter that stands out on the nappa leather, giving a modern feel to this dynamic, youthful model. Multicoloured leather camouflages a sequence of perforations which give this design a high level of breathability, so you can wear them on even the hottest days. Eye-catching sandals with a sophisticated design which perfectly supports the foot to achieve an excellent level of comfort. With a trendy ankle bracelet, which holds the foot safely in place, all the attention can be focused on the shiny Fantasy strap. A fresh shoe for spring which, despite being a closed style, offers perfect breathability thanks to its perforations which almost entirely cover the entire design. An elegant, attractive design that will surprise you, both aesthetically and with how comfortable it is. The perfect choice for a look that attracts attention. Its design and combination give you character and appeal that you can show off whilst revelling in your comfort. A popular design that never goes out of style, constantly being reinvented in the trends and colours of the season. Simple yet seductive, the perfect combination styles; making you look especially sweet and elegant as you walk. A safari feel with a clean, polished design which adapts to any style, regardless of age. Strategic openings that feel good on your foot in this stylish, comfortable pair, specially designed for your leisure time. A classic, summery style, comfortable and easy to wear. 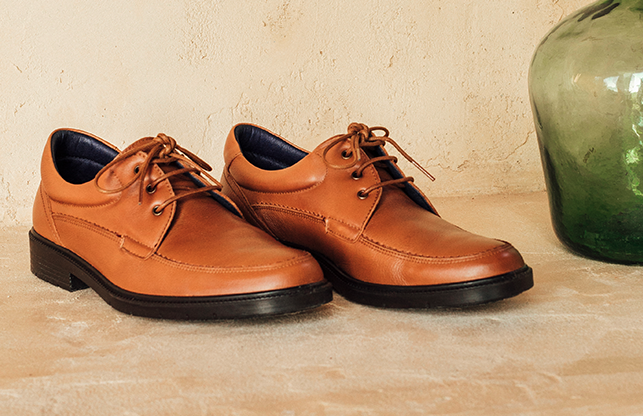 Practical, easy to wear and very comfortable, designed for men who do not like laces. Simple lines that adapt to the foot as easily as if they were part of it. A traditional model that will delight those looking for style, distinction and comfort. Shoes with simple lines that give the stage to the brushing of the natural leathers, which achieves and exclusive finish in each colour without sacrificing on comfort or class.